Spelling. Are you looking for Adsorbate? What does absorbate mean as a name of something? In E1412 the adsorbent is activated charcoal and the absorbate is the volatile compounds vaporized in ASTM Approach to Fire Debris Analysis 169.
vb absorbere absorbieren absorber absorber absorbire assorbire abszorbeál elnyel absorberen opnemen opzuigen pochlaniaé wchlaniaó абсорбировать поглощать absorpoitua absorbera 10 absorbate 10 absorbate DA DE E F (l) »_i. 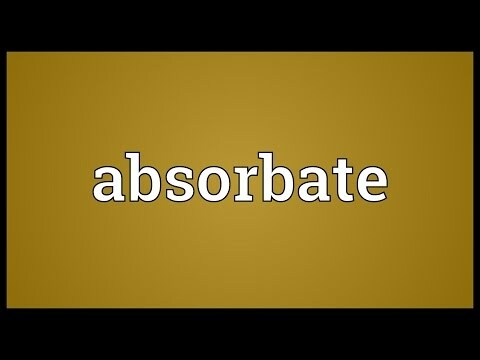 absorbate. See absorption. absorbency. the penetration of one substance into another; the capacity to absorb. See also the blanagrams of Absorbate! Go to the wordplay of Absorbate for some fun with words!